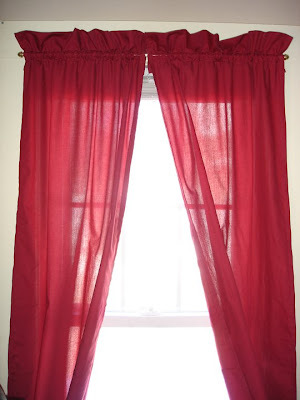 The Concrete Gardener: Flat Sheets to Curtains! A guest post from Vanessa! Thank you so much for this post. In an effort to live more frugally, I have found myself looking more and more for ideas of how to reuse or re-purpose items already in my possession in an effort to minimize the expense of purchasing new items. One of these items are flat bed sheets. In the US, with every sheet set you buy comes a fitted sheet, a flat sheet and two pillow cases. The fitted sheet and the pillow cases are what I'm looking for, the flat sheet is an item that wanders straight to the bottom of my linen closet, rarely to be seen again. I am not a fan of the flat sheet..I find it NEVER stays tucked for more than half the night, and so I simply refuse to use it anymore. But what a waste of perfectly awesome sheet fabric! 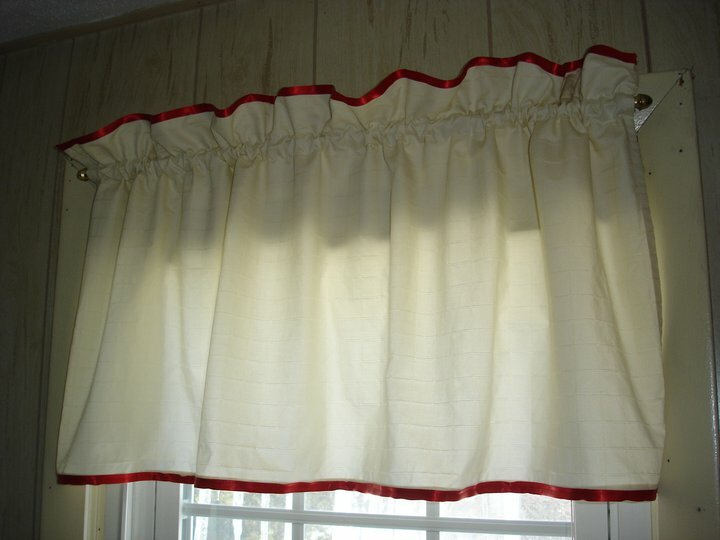 When we first moved to Connecticut, I wanted curtains for our new apartment. 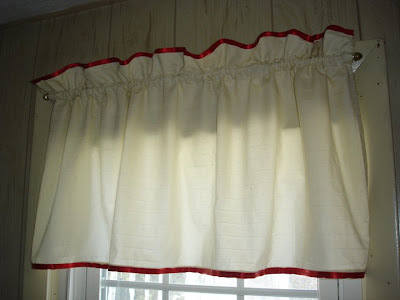 The first set I made with store bought fabric (on sale), which even after the sales discount cost too much to justify outfitting an entire apartment of windows. On recent forays though the internet, and my continued quest for finding things to do with my remaining flat sheets (still quite a few remaining as we also inherited a bunch from family), I found out that you can sew fitted sheets out of flat sheets! And while I have yet to try this (it requires some space and dedicated time, which I am hoping to find within the next month or so), I am very excited and see no reason for this not to work. I am also very excited to increase my currently dwindling stash of fitted sheets (mostly due to old age deterioration). I have no foolproof set of directions yet, but an internet search will yield many how-to guides, and I hope my success will warrant a follow-up post with results! I also have a bunch of extra sheets that I didn't really think about until you wrote this post. Actually, this idea of repurposing existing fabric in the household (thanks to Leah) has really inspired me to learn how to sew. I was never that excited about sewing because it seemed like I could buy better, cheaper clothing at the store (*cough*made in China *cough*). But the idea of reusing stuff we already have is very inspiring. I've also been pondering our extra towels (weird sizes) and such, because we received so many towels when we married. Sorry, that's unrelated.